A Moscow city court has pronounced seven members of a skinhead gang guilty of 20 racially motivated murders and 12 counts of attempted murder. The two gang leaders – 17 year old Artur Ryno and Pavel Skachevskiy – were found to be undeserving of lenience. The exact terms that those found guilty will have to serve are to be discussed at a Moscow court on Thursday. Although the gang is on trial for 32 incidents of racial assaults of which 20 were murders, Ryno himself claimed that the gang was responsible for the deaths of at least 37 people. The legal process took place behind closed doors, since some of the gang members are still minors. The ages of the accused ranged from 15 to 22 at the time of the crimes. The jury had to answer 282 questions in their deliberations on coming to a verdict before coming to a unanimous decision. Over the course of the court proceedings, Ryno and Skachevskiy fully admitted their crimes, claiming that they were on a mission to “cleanse Russian blood”. More specifically, Ryno, who studied at a religious painting school before his arrest, launched into several vehement speeches in front of the jury. The skinhead leader maintained that he led a struggle against “godless authority” and ended his monologue with the phrase “for faith, the Tsar and the fatherland” – a slogan characteristic of pre-revolutionary Imperial Russia. Another accused explained his crimes by saying that he is a great admirer of Chikatilo – the most famous serial killer in Russian history who was nicknamed “the Butcher of Rostov” and executed for the murder of 52 women. This morbid admiration of murder led the investigation to suspect that some of the gang members were psychiatrically ill. But an examination concluded that all of the accused were fully psychiatrically healthy. Other gang members justified the killings by saying that they deemed it important to free Moscow from an influx of foreigners who were “poisoning Russian blood”. The defence’s line was to point out that the accused were mostly students of prestigious universities, who were guided by their “heightened feeling of justice”. According to the young people’s lawyers, this was what led them to a desire to ‘cleanse’ Moscow of foreigners. The jury was presented with 282 questions, which were designed to help them decide whether the young people are to be found guilty or not. According to the defence, all the questions are of the same type and repetitive: “Was a crime committed?”, “Did this accused take part in it?”, “Does he or doesn’t he deserve lenience?” This was applied to all 32 incidents of racist murders and attempted murders. As a result, seven of the nine accused were found guilty under several paragraphs of the Russian criminal code, including premeditated murder by an organized group with the intention of kindling interracial discord. However, while the two leaders – Ryno and Skachevskiy – were found undeserving of lenience, the rest were revealed to have had mitigating circumstances. The jury decided that they should be given the minimal possible term to serve. Two of the gang members were let free in court. Svetlana Avvakumova, who filmed the murders and later published them on the internet, and Nikolay Dagaev, who claimed that he was accidentally present on several gang crime occasions, divided the jurors. Six claimed they should be acquitted, while six more insisted that they should be found guilty. Under Russian legislation, if this is the case, the decision is made in favour of the accused. Although found guilty without mitigating circumstances and without deserving lenience, Ryno and Skachevskiy might not receive the anticipated long sentences. According to the Russian criminal code, only the age at which the crime was committed is taken into account, not the age at which the accused stand trial. And, throughout the 32 incidents of racist aggression, the two gang leaders were underage. This means that their sentences could potentially not exceed 10 years of imprisonment. The same applies to the other gang members, with the extra circumstance that their direct involvement in the crimes is difficult to prove. In a gang situation, the most standard sentence distribution is for the leaders of the group and the executors of the crime to receive the longest ones. The executors are difficult to pin-point and the leaders were underage at the time of the crimes. 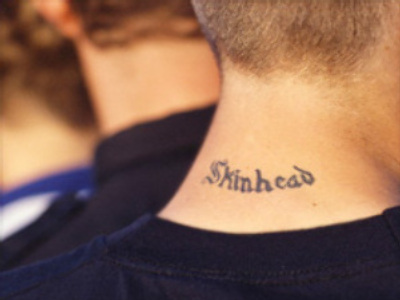 Some of the skinhead’s relatives claimed that since the gang’s arrest they have become the target of numerous threats and assaults from members of ethnic minorities. The story, which was repeated most often during the proceedings was that of Pavel Skachevskiy’s sister. Ekaterina was walking with her infant child when a group of six ran up to her and started shouting “Let’s kill the Fascist family”. They kicked over the baby’s pram and hit Ekaterina several times. The woman filed a statement against her attackers at the local police station. The gang's first assault was directed against a Chinese citizen, Zhao Shibo. On the 21st of August 2006, the skinheads knocked Shibo off his feet, gave him several blows and struck him in the chest with a knife six times. However, the victim survived and proceeded to report the attack at the local police station. The investigation reached a dead end on that occasion. It took over a year and 31 more hate crime incidents to locate the gang. Only following the murder of Karen Abramyan, an Armenian businessman, who was stabbed 20 times, were the suspects finally located. They were arrested in a tram shortly after the crime was committed. Ryno admitted that he committed his first murder straight after the Cherkizovsky market blast on August 31, 2006. Then, a group of young people spontaneously attacked men who looked as though they were from the Caucasus region. Ryno told the investigation that he hit one man with a knife. Soon the religious painting student, whose studies were based around drawing Russian Orthodox saints, met Pavel Skachevskiy, a student of the Moscow Sports University. This happened during a football match. The two decided to combine their desire to “cleanse the city of non-Russians”. The pair went to various parts of the city, locating single men, who mostly appeared to be from the Caucasus region, and attacked them. Sometimes, they committed several assaults in an evening. After a while, a group of followers started accumulating around the two skinheads. Ryno claimed during interrogations that they were mostly fans of CSKA Moscow football club. The confession wasn’t immediate. At first, all of the gang members denied their crimes. However, they were shown several of the videos that they themselves posted on the internet as well as several recordings from video surveillance cameras. Then, suddenly, Ryno began recounting the way that the gang operated. The young people would head out to a suburb of Moscow and seek out a victim. Then, as Ryno said, depending on their mood, they would either find a cause to attack, or attack from the back. 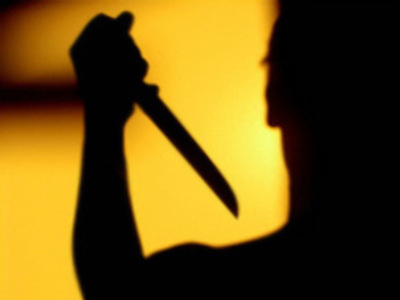 The skinhead leader said that they would never inflict fewer than 20 knife wounds. He claimed there were witnesses to their crimes, but nobody ever tried to prevent a murder. “From my school years I have hated people from the Caucasus who come to Moscow, form ties and start to oppress Russians,” Ryno told the investigation in justification of his deeds. Unlike his fellow skinhead leader, Pavel Skachevskiy kept silent throughout his interrogations and refused to help the investigation.